When you choose an Staten Island attorney, you need one with experience, industry acumen and astute judgment. Let John Wm. Zaccone help you today! Bankruptcy Adversary Proceedings and Creditor Representation. Learn tips & tricks from our team of highly qualified legal professionals! John Wm. Zaccone grew up working in a family business, and has a BA in Public Accounting from Pace University. In addition to his experience as an accountant, he has a Juris Doctor degree from New York Law School. This skill set provides the kind of practical legal advice and guidance you need to get a start-up off the ground and pointed toward success. John Wm. Zaccone has represented hundreds of clients in litigation before the Supreme Courts, Civil and District Courts of the State of New York, the Superior Courts of the State of New Jersey, the Federal District Courts of the Eastern, and Southern Districts of New York and the District of New Jersey, the United States Tax Court, and the First and Second Department Appellate Divisions of the Supreme Court of the State of New York. John Wm. Zaccone has represented creditors, debtors and other parties in a variety of bankruptcy proceedings in both New York and New Jersey. He has the legal and financial experience and background necessary to ensure your best interests are represented. For many years, John Wm. 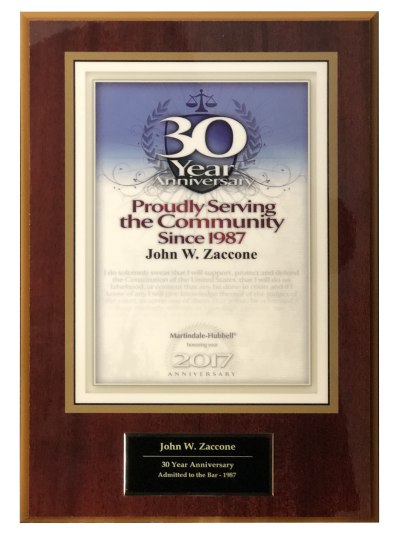 Zaccone has represented not-for-profit organizations located in New York and New Jersey with both day-to-day affairs and in difficult legal situations. He can help your not-for-profit start up and provide advice on the key legal aspects involved in running a successful organization. John Wm. 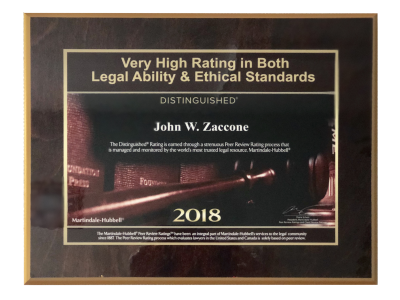 Zaccone is an accomplished attorney, and has extensive experience in advising businesses of all sizes understand and hone organizational structure and select the courses of action best suited to their needs. Whether you require representation in a large commercial transaction, business management review or help navigating employee issues, he will provide the high level of experience and advice you need.